November 16, 2015: BP Chat is on hold and may not work as expected. For the updated plugin & contributing, please see our github repo. We are planning to start working on the update in the second week of December and the plugin will be available again from the last week of December. Apologies for any inconvenience. 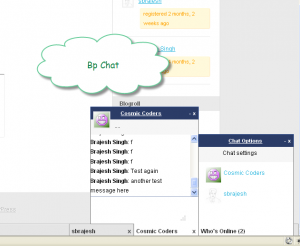 BP chat is a facebook like chat plugin for BuddyPress. Currently, we have a beta release of it. I won’t say It is good enough for live sites yet, but yes, you can try your hands and help me improve it. 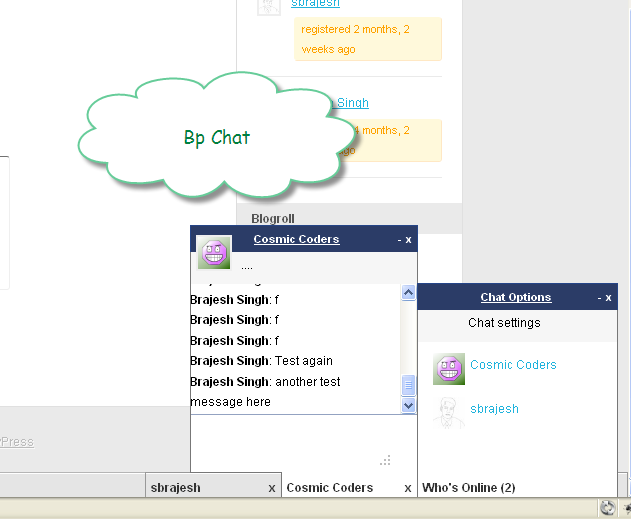 We will have another release of bp-chat(beta 2) may be in the last week of October or in the first week of November.